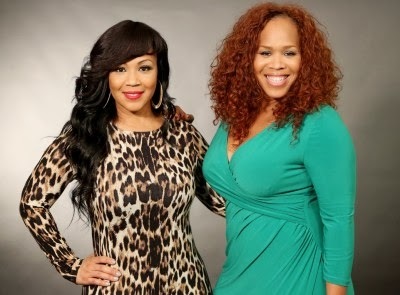 A new season of Mary Mary has started. Who knew they would come back to reality television after that very public on-camera break up. Thanks to "We TV" we were able to start seeing Tina and Erica managing their highest point of their career and family life. Just think about all the work we've seen Tina and Erica doing on camera. They've held up their family lives, romantic lives, and managed their manager all while working. Then while the "We TV" cameras were still rolling they put the group on hold. Tensions were at an all time high and everyone needed a break from each other. I guess they rested up long enough since the cameras have recorded more, but there's brand new issues. The first is Mitchell, the manager. Mitch had to go. It's something we all saw coming. This group had so much going on and that dragged him deep into their personal lives. Mitch knew all the kids, had to make room for their family vacations in between business planning, and had to do it all with a smile on his face. WAIT! When was the last time we saw Mitch smiling on an episode of Mary Mary? He was so wrapped up in Tina and Erica's personal lives that he wasn't managing the business well. Actually, after watching the video above we learn that Mary Mary was the first singing group he managed. You can't hate Mitch for how things went down, but after 2 and a half years with the group he had to go.